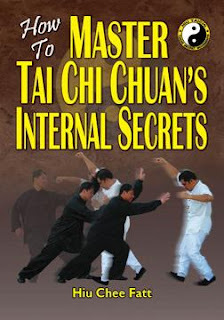 TAI CHI SECRET MOVEMENTS is a place to find secret information on Tai Chi Chuan(Taiji), Chi, Chi Kung (Qigong), health and meditation practices. In fact, there is no Tai Chi or Chi Kung secret, only lack of information. This book is an extraordinary guide to Tai Chi Chuan’s internal strength development written by Internationally Acclaimed Master Hiu Chee Fatt, who is from the lineage of Grandmaster Dong Yin Chieh. His master, Yip Seong was one of the disciples of Grandmaster Dong. With a wealth of information for novice, advanced students and instructors alike, this book examines the right understanding as well as provides easy to understand explanations on the key ingredients to the developing of internal strength and step-by-step training methods. Also included are discussions on general misconceptions of breathing, directing the mind, aligning of the body and developing of Chi in Tai Chi Chuan. Many clear illustrations are included to make understanding easier. This book points readers directly to the development of real internal skills and strength of Tai Chi Chuan. This book is a must have for Tai Chi Chuan people who wants to achieve high level of proficiency in Tai Chi Chuan and making it truly an internal martial art for health and self defence purposes. Currently the price is still at USD22.40 after a 20% discount off the list price of USD28.00 is accorded if order is made in this website. Most people that purchased the above titled book has also invested in the eBook 'Ten Essentials of Tai Chi Chuan ~ Explained' also by Master Hiu Chee Fatt. The reason being Master Hiu has made references to this Essentials in his book. Grandmaster Yang Cheng Fu (grandson of Yang Tai Chi Chuan's founder-Yang Lu Chan the invincible) written 10 guides to the correct practice of Tai Chi Chuan popularly known as 10 Essentials of Tai Chi Chuan. These guides are very important. They form and provide a framework within which Tai Chi Chuan should be practiced. Failing which, one will not be able to breakthrough into the internal elements of Tai Chi Chuan. As the original version of 10 Essentials of Tai Chi Chuan was written in abstract Chinese and not easily understood, Master Hiu feels the need to provide this important information in simple layman's language with clear illustrations painted by Master Hiu personally. Master Hiu started his martial art training in Tae Kwon Do when he was 17 years old and trained diligently for his 2nd Dan Black Belt. He was a state Tae Kwon Do champion and was invited to join the national Tae Kwon Do team in 1987 but he rejected the offer. In 1987, he learned Hung Gar kung fu from Master Lawrence Leong. Besides Hung Gar kung fu, Master Leong was a master of many other styles of kung fu including Tai Chi, Wing Chun and Bagua. At the age of 22, Master Hiu started learning Tai Chi Chuan from Master Yap Seong. Master Yap Seong is the inner disciple of Grandmaster Dong Zeng Chen (Grandson of Dong Ying Chieh the most inner disciple’s of Yang Cheng Fu). Besides Tai Chi Chuan, Master Hiu learned Kwok Gar kung fu, Yi Chuan and Chi Kung as well from the same master. Thereon, Master Hiu continued his study and research of Tai Chi Chuan with several other masters where he learned Chen, Wu and Cheng Man Ching’s TCC too. Master Hiu also researched deeply into Taoism and Buddhism assisting his understanding of the internal aspect of Tai Chi Chuan of which he believe could be the most important aspect of his breakthrough of the understanding of Tai Chi Chuan. Tai Chi Chuan and Chi Kung are very precious gifts from the Chinese to mankind. It is our sincere hope that these rare gems can be spread far and wide to people all around the world. It is also our sincere hope to share with everyone the profound knowledge of Tai Chi Chuan as an internal martial art so that its real skills can be preserved and not watered down overtime.